There’s no escaping the media. Whether radio, television, newspapers, magazines, billboards, feature films, documentaries, online news or social media – it’s everywhere. If media in all its forms is compromised then frankly, we’re all screwed! 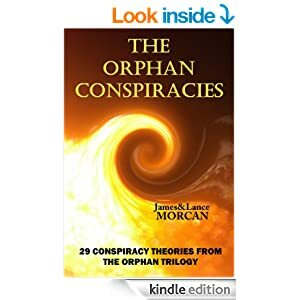 One of us (Lance) writes from personal experience on this subject: as a former journalist, newspaper editor and public relations consultant with experience in television, radio, print and online reporting, he has observed the workings of the media from the inside over the past 45 years. You don’t need to be a former journalist however, to realize that manipulating the media is akin to poisoning a nation’s water supply – it affects all of our lives in unimaginable ways. Journalists are the barometer of a nation’s freedom of speech. If they are threatened, gagged or otherwise silenced then who is going to ask the tough questions and keep the authorities honest? “No President should fear public scrutiny of his program. For from that scrutiny comes understanding; and from that understanding comes support or opposition. And both are necessary. I am not asking your newspapers to support the Administration, but I am asking your help in the tremendous task of informing and alerting the American people. For I have complete confidence in the response and dedication of our citizens whenever they are fully informed. I not only could not stifle controversy among your readers–I welcome it. This Administration intends to be candid about its errors; for as a wise man once said: “An error does not become a mistake until you refuse to correct it.” We intend to accept full responsibility for our errors; and we expect you to point them out when we miss them.” –President John F. Kennedy, speech to the American Newspaper Publishers Association. April 27, 1961, New York City. President Kennedy welcomed media scrutiny of his Administration. In our thriller The Orphan Factory, the novel’s lead female character Helen Katsarakis is a student journalist in Chicago. When she learns the shocking truth of the Pedemont Orphanage and starts to write about it, her life is suddenly endangered. Without giving away any spoilers, let’s just say the powers that be swing into action to prevent her story ever reaching the masses. Helen’s character was partly a plot device designed to ask tough questions about the modern media. In particular, questioning the commonly held belief that here in the West we have a free press. So, what’s the truth? Do we really have a free press or are our journalists, or journos, being dictated to and told what they can and can’t report on? Are certain topics suppressed from the public’s consciousness by those who own or greatly influence the media? Are there any free-thinking, free-speaking journos left – alive and not retired that is? Few journos ever seriously challenge the Establishment. Why? Because it’s usually not in the best interests of their employers – the select few media barons who run mainstream media these days. (More about them later). The upshot of this is, while their turn of phrase may be eloquent, most journos just report on issues their masters are happy to allow to be aired publicly. This makes them little more than parrots for the Establishment. Unfortunately, few realize that. The tragedy of this is major issues remain hidden and the public are continually being denied access to the truth. Any journo who takes on the Establishment and interrogates officialdom about questionable policies – such as committing troops to new theaters of war – is quickly brought to heel. If the journo persists, he or she risks being branded a traitor, or unpatriotic at least. Of course, holding an administration’s feet to the fire relies on total freedom of speech, and a truly free media is a major part of that. We know from personal experience it takes balls to ask the hard questions. Questions such as why Western nations are embroiled in perpetual wars and spending gazillions on military budgets when so many of their citizens are living hand to mouth on or below the poverty line. What’s needed is uncompromising, in-depth, insightful reporting where journos don’t shy away from applying the metaphorical blowtorch to world leaders, politicians and business moguls. This would be in stark contrast to the staged interviews we are more commonly shown where handpicked journos rarely deviate from script. True journalism is about uncovering and reporting on the truth. Nothing more, nothing less. In today’s fast-moving world, where corruption, violence and grief are never far away, it’s difficult to think of a more important job. Fleet Street, London…once the traditional home of British newspapers. Traditional journalism, where reporters deliver information in a balanced and unbiased fashion, is rapidly fading into obscurity. This is especially evident on television where high profile reporters become bigger than the story, delivering news with large dollops of personality and wit – almost as if they are actors. And is it our imagination or are TV reporters becoming younger and more glamorous every year? To our eyes, on major world issues at least, it seems very little factual-based news reporting occurs these days. Instead, it’s nearly all opinion-based and colored to some degree. Unfortunately, mainstream news has become infotainment, sharing more in common with the entertainment industry than with traditional journalism. Gossip, characterizations and injections of drama are subtly infused with facts, altering the truth in a similar way to how dramatists twist true stories to create greater excitement. Another useful analogy here may be documentary movies. Although as filmmakers we only produce feature films, we know a lot of doco filmmakers and many tell us storytelling is just as prominent in reality-based productions as it is in dramatic ones. This makes sense because when a doco enters post-production after the filming period, the director has hundreds of hours of footage to sift through in the editing suite. The film then has to be edited down to around 90 minutes and there are often any number of stories a director can tell, depending on what is edited out, what is left in and what is highlighted. In theory, documentary filmmakers are able to remain totally unbiased and allow the material to dictate the most relevant story to them. But only the very best are able to achieve this. All too often the filmmakers’ own beliefs end up convincing them to tell stories that don’t actually reflect the heart of the material. Similarly, subjective storytelling is now almost as common in the news media as it is in feature films, TV dramas, novels or theater shows. Journalists at their worst are self-centered storytellers who either knowingly or unknowingly bend truths into stories that match their personal beliefs or those of their employers. What is scarier however, is when entire media organizations craft fictional stories out of the truth to influence the masses on a grand scale. Spanish TV presenter Sara Carbonero…voted the world’s sexiest reporter. Media tycoons are among the most powerful and influential individuals on the planet as they and their minions shape society’s opinions. It’s no coincidence that a large percentage of the members of the Bilderberg Group, the Council on Foreign Relations and other such elitist organizations are media moguls. If it’s true that nothing is more potent than an idea, then those who control the media can direct minds en masse. Australian-born tycoon Rupert Murdoch has built a media empire unlike any other in history. His far-reaching enterprises incorporate major newspapers, television networks, book publishers and film production companies throughout the UK, the US, Australia and Asia. It’s estimated that 40% of American television viewers are watching Murdoch-owned stations at any given time. 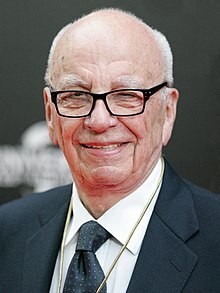 It has been reported in the mainstream media on several occasions that no Prime Minister of the UK or Australia takes office without consulting Murdoch first. Then again, if he controls the media wouldn’t Murdoch have censored such reports? In which case wouldn’t that make a mockery of this whole conspiracy theory? Ah well, you can’t win ‘em all! There are parallels, albeit on a smaller scale, in Italy where former Italian Prime Minister Silvio Berlusconi owns much of the Italian media. During his controversial term as PM, critics argued many of Berlusconi’s newspapers and TV channels promoted his far-right political ideologies. Bottom line is: the media, like anything else, can be bought. Everything, it seems, has its price. Even the free press. Some commentators say the world’s six biggest media empires, between them, largely control what news we see, hear or read in the Western world. Others say the 10 biggest media empires control our news. Either way, the ramifications are frightening, wouldn’t you agree? Elite Daily has identified the following as the world’s 10 largest media conglomerates: Bertelsmann SE & Co. KGaA, Gannett Company Inc., CBS Corporation, British Sky Broadcasting Group Plc., Liberty Media, News Corporation, Viacom, Time Warner Inc., The Walt Disney Disney Company and Comcast Corporation. In the early 1980’s, some 50 companies owned 90% of American media. Now, 90% of US media is owned by just six corporations: Disney, Viacom, GE, CBS, Time Warner and Rupert Murdoch’s NewsCorp. Each of these conglomerates has fingers in many pies. Take Time Warner for example. It has major stakes in film and TV companies like New Line Cinema, CNN, TNT, Warner Bros. Pictures, HBO, Cinemax, Cartoon Network and Castle Rock plus magazines like People, Time, Sports Illustrated, Fortune and Marie Claire. The problem with such media monopolies, especially when they are heavily entangled with politics as Murdoch’s outlets are, is that censorship or even disseminating misinformation becomes a very real possibility. If you believe the TV networks, newspapers and other media outlets owned by such conglomerates are regularly delivering balanced, unbiased news, you’re dreaming. Each has its own agenda and recent history has shown those agendas aren’t always honorable. Regrettably, and all too often, journalistic ethics come a distant second to corporate profits. You only need to consider the events surrounding Rupert Murdoch’s News of the World phone-hacking scandal to be reminded that media conglomerates and their owners don’t always act honorably or have the public’s best interests at heart. For anyone who has been living under a rock since that controversy broke, Murdoch employees working in some of his British newspapers hacked the phones of leading politicians, businessmen and celebrities, resulting in a public outcry against News Corporation and Murdoch. “There is very grave danger that an announced need for increased security will be seized upon by those anxious to expand its meaning to the very limits of official censorship and concealment. That I do not intend to permit to the extent that it is in my control. And no official of my Administration, whether his rank is high or low, civilian or military, should interpret my words here tonight as an excuse to censor the news, to stifle dissent, to cover up our mistakes or to withhold from the press and the public the facts they deserve to know.” –President John F. Kennedy, speech to the American Newspaper Publishers Association. April 27, 1961, New York City. Censorship involves limiting free expression and controlling information. Most Westerners tend to associate the word censorship with art – especially film. However, in less democratic regions of the world, censorship is all pervasive with North Korea being one of the best, or worst, examples of this in recent years. Censorship is also alive and well in the West, although it is done in far more subtle ways. Sometimes it relates to that modern day ailment known as corportocracy, or the control of economic and political systems by corporate interests; sometimes it relates to government meddling where administrations or individual politicians derail what should be a free press. Reporters Without Borders, a global freedom of press organization, recently announcedin its annual Worldwide Freedom Index that the US has one of the highest levels of media censorship in the Western world. From their research, conducted in 2013, they reported that journalists in the UK, Canada, Australia, Ireland and New Zealand experience greater freedoms of speech than in the US. The index reflects the level of freedom that news organizations, reporters and citizens enjoy in each country, and the efforts made by governing bodies to respect this freedom. Given the US was founded on the greatest constitutional freedom of expression in history (the First Amendment) it’s sad to see it only managed 32nd place on the Worldwide Freedom Index – behind the likes of Ghana and Suriname. “Without debate, without criticism, no Administration and no country can succeed–and no republic can survive. That is why the Athenian lawmaker Solon decreed it a crime for any citizen to shrink from controversy. And that is why our press was protected by the First Amendment – the only business in America specifically protected by the Constitution – not primarily to amuse and entertain, not to emphasize the trivial and the sentimental, not to simply “give the public what it wants” – but to inform, to arouse, to reflect, to state our dangers and our opportunities, to indicate our crises and our choices, to lead, mold, educate and sometimes even anger public opinion.” –President John F. Kennedy, speech to the American Newspaper Publishers Association. April 27, 1961, New York City. A conservatively estimated 90% of all news items aired in the media – whether in print, radio or television – on any given day are placed items. (Placed news items are articles contributed by individuals, companies and organizations outside the media). 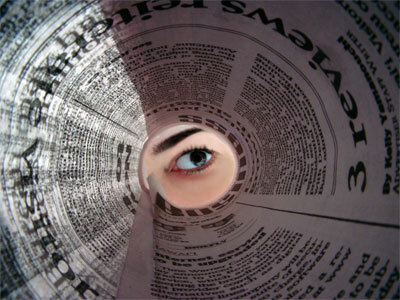 An estimated 75% of all news items are placed by spin doctors, or public relations consultants. Journos and PR gurus will know what we’re talking about, but for outsiders we accept these stats are hard to get your head around. Incidentally, many if not most spin doctors are former journos, so they know firsthand how the media works and they have well established journalistic networks to tap into. Very handy when it comes to placing stories. What makes it difficult to accurately assess the amount of news that is placed or contributed, is that many such items appear under a journo’s byline. All too often the journo may only change one para, sentence or word – or nothing at all – before recycling the story for publication under his or her name. Sad but true. In the case of news items sourced from PR firms, the reality is those firms are handsomely paid by their (usually) corporate clients to publicize the clients’ products and services. In some cases their non-corporate clients may be lobby groups, politicians, political parties, government departments, armed forces or other such entities each with their own barrow to push. All too often, the truth is secondary to the message. Also sad but true. Mainstream media all too often serves as a public relations agency for the global elite, including politicians, bankers and Fortune 500 members. As a result, the so-called news has become a junkyard for propaganda. Such an environment is open slather for the spin doctors. All too often news stories deliver one viewpoint, or one dominant viewpoint, so the audience will likely draw one particular conclusion. This can be done so cleverly we are usually none the wiser – unless we’re on the lookout for such subterfuge. Politicians and political parties are very aware of this, as are our military leaders. Media manipulation they call it – off the record of course. To sell their message to the public, they need to use the media to their advantage. Sometimes they go direct, oftentimes they use the spin doctors. A classic example of this was how the US Administration used the media to convince the American public Iraq was hiding weapons of mass destruction before the troops were sent in. How wrong they were, but how effective their advance publicity was. It was swallowed hook, line and sinker by most Americans and, indeed, by much of the Western world. Certainly, Britain and others weren’t slow to send their troops in to Iraq either. And it’s worth noting this was initially a conspiracy theory, but now even mainstream media outlets commonly accept this was fabrication or at least exaggerated spin to start a war. Clearly, the media can be used by political administrations as a propaganda tool. 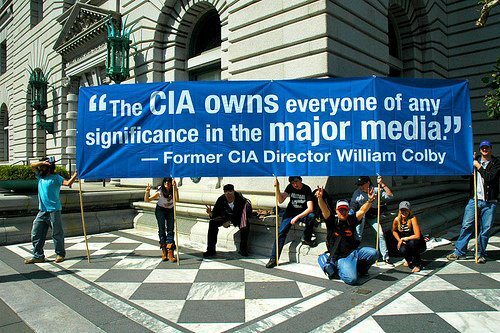 From the 1950’s to 1970’s, the CIA covertly funded a number of leading domestic and foreign journalists from numerous major media outlets like The Washington Post, Time, The New York Times and CBS to publish CIA propaganda. This was known as Operation Mockingbird and was first brought to the public’s attention in 1975 by The Church Committee. Senator Frank Church, after whom the committee was named, claimed that misinforming the world cost American taxpayers around US$265 million a year. Some of that cost was wages as many of the CIA’s journalist-spooks drew a CIA salary over and above their official media salary. Talk about serving two masters! The CIA also admitted that these individuals provided the agency with direct access to many media outlets. Although restraints have since been applied to the CIA’s media-related activities, to this daythe agency makes no secret it continues to welcome the voluntary cooperation of reporters. The CIA’s involvement with media doesn’t end there. In 1977, Washington Post journo Carl Bernstein, of Watergate fame, reported that “more than 400 journalists…in the past 25 years have secretly carried out assignments” for the CIA. Besides messing with news media outlets, the agency has also been known to dabble in other forms of media. For example, the 1954 animated film Animal Farm, based on George Orwell’s classic novel, was secretly funded by the CIA. In fact, three-fifths of the movie’s half a million dollar budget was financed by the agency via one of its shell corporations, Touchstone Inc.
On the film’s listing on the Internet Movie Database (IMDb) site, the following is mentioned under the trivia section:“The CIA obtained the film rights to “Animal Farm” from Orwell’s widow, Sonia, after his death and covertly funded the production as anti-Communist propaganda. Some sources assert that the ending of the story was altered by the CIA (in the book, the pigs and humans join forces) to press home their message”. The Internet is expanding at a faster rate than most of we mere mortals can understand. Someone seriously compared its rate of growth to the speed of light, though we suspect he’s prone to exaggerating. Even so, its growth is impressive, that much we know. Impressive, too, is the growth and power of online news and especially social media. Nowhere has this been better demonstrated than during the Arab Spring, the revolution that is sweeping the Arab world. Since 2010, Egyptians, Libyans and more recently Syrians have effectively used the Internet both to access foreign news during media blackouts and to get news and images to the outside world as dramatic events unfolded in their respective countries. Just as the Internet offers society many advantages and disadvantages so, too, does online journalism. On the one hand, alternative thought-provoking news and ideas can be aired online whereas they’d never see the light of day in a metropolitan daily newspaper or other conventional media outlets. On the other hand, there are fewer checks and balances online where anyone can write just about anything and get away with it. This duality of online news is exemplified by the rise of freelance journalists using the Internet to their advantage. Citizen journos we call them. Some of these citizen journos are qualified reporters who, for various reasons, have chosen to go it alone. Many may prefer the autonomy that comes with freelance writing, others may have become disillusioned with traditional mainstream reporting. Some are good, some are bad and some should probably be shot. The latter, who are usually inexperienced or wannabe journalists, often pretend to present unbiased news stories. In reality, they have radical agendas be they political, religious, racist or whatever. These agendas, incidentally, aren’t always apparent when you visit their blog sites. It’s also important to remember that mainstream media are major players on the Internet. Almost all major newspapers, television and radio networks have online news portals to recycle their news to reach audiences far beyond their traditional catchment areas. Despite the Internet’s faults, more and more people are viewing it as the only source for truthful information. Politicians and business moguls are aware of this and are actively lobbying to restrict or censor this medium so they can continue to manipulate, or better still control, public opinion. Those same politicians and moguls are very mindful of initiatives like the Occupy Wall Street movement whose members are so heavily reliant on social media to spread their message. Young people are becoming more switched on, too. They’re increasingly favoring alternative websites and citizen journos over mainstream media when it comes to receiving news and information. 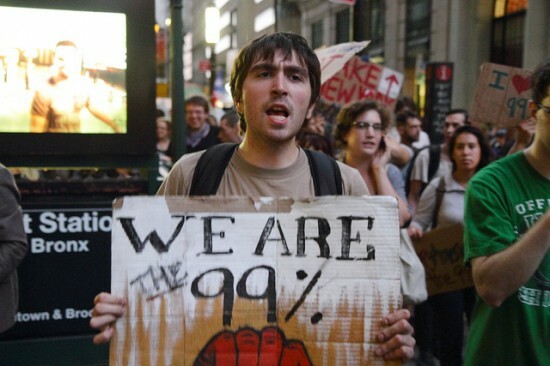 “We are the 99%.”…catchcry of the Occupy Wall Street movement. So, what are we to believe when we search online or open that newspaper or switch on that radio or TV set for our daily dose of news? Unfortunately there’s no easy answer. As we keep saying, retain a healthy skepticism and don’t believe everything you’re told. The truth is out there…somewhere! Important stuff in here. Thank you. I didn’t get to finish reading this, but it easily reminds me of 1984 which I’m reading right now. All this isn’t anything new of course but a thorough reminder of what’s been going on for a very long time. Thanks for sharing and for following my blog.